Blizzard has announced they are working on someone being able to switch factions in game. There are no specifics yet, as how can it apply. I have a Tauren shaman and if going based on it’s opposite, a gnome, there is no gnome shaman. I could only go to drenai due to the alliance only having one race capable of being a shaman. And that’s just one case. Also, how does rep work? I doubt this will happen but I cant forsee a “tauren” on the alliance side. That’s just a little odd. But if luke can be tempted by the darkside whose to say Mooshoopork cant be? It’s something they did come out and say NEVER would happen but hey. Everyone wants to make money in this ECONOMIC DOWNTOWN. As I sit here writing my review I’m several beers into an unemployed Friday night. So the last few days I have been overloading my brain with internet job searches, video games, and spending copious amounts of time with my daughter. As any one of you might guess I’ve also been pulling out the old DVD’s and watching a few horror movies. Tonight I’ve saved the best for a drunken Friday night with friends. The Bunker, a movie about a squad of Nazi soldiers pushed back to a bunker in the middle of nowhere. A time honored plot line of a building being built over unholy ground a la poltergeist 1 – a million. The soldiers are holed up in a bunker versus an imaginary American force surrounding them. As the soldiers succumb to various hallucinations and increasing paranoia things start to go wrong when one of them decides to go to the underground tunnels to find a way out. Of course the “Americans” get into the tunnels and start to kill them off one by one. Well as you might suspect things go seriously downhill when the flashbacks and hallucinations begin causing people to lose their minds. Serious bouts of anger and delirium are whittling away at the morale of the group. Because I don’t want you to hate me for spoiling the movie, people die and the movie ends. So to wrap this up before I black out or the thunderstorm were having kills my internet, this is another Nazi suspense wartime movie. I will be shifting next week to zombie movies and really getting into the down and dirty. So for now Dream Machines this is atomiczombie tuning in and tuning out. Keep your baseball bats and machetes ready for next week. We might have a nice heated discussion about the perfect zombie weapons and how to survive a zombie apocalypse. So Patch 3.2 is bringing massive changes to parts of the game of World of Warcraft One of them is an attempt to make shaman’s totems more versatile and easier to manage in both pve and pvp content. The PTR is up and you can enjoy the patch for all it’s glory. Here is a video of the new toolbar! Some new screen shots have been leaked for the Isle of Conquest Battleground. One is of the bg itself and one of the extension to the map. The map is really worrysome to me. 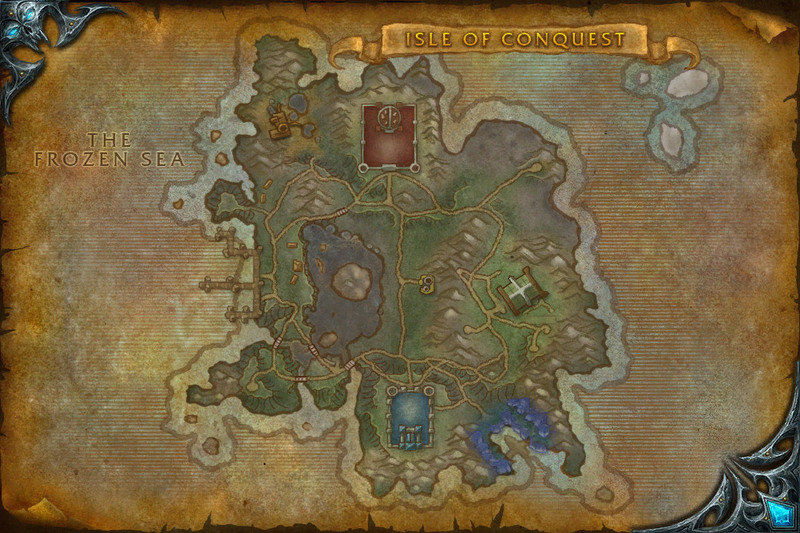 There’s forever that “honor farming” that goes on and since the map is so vast, are we going to see a repeat of AV? I think more than likely. At least after the first month when the “newness” wears off and people start complaining. I do in fact like the objectives that are being added and I’m one of the few in favor of vehicle combat. I’m going to take a shot in the dark and say the alliance side is the blue, duh right? 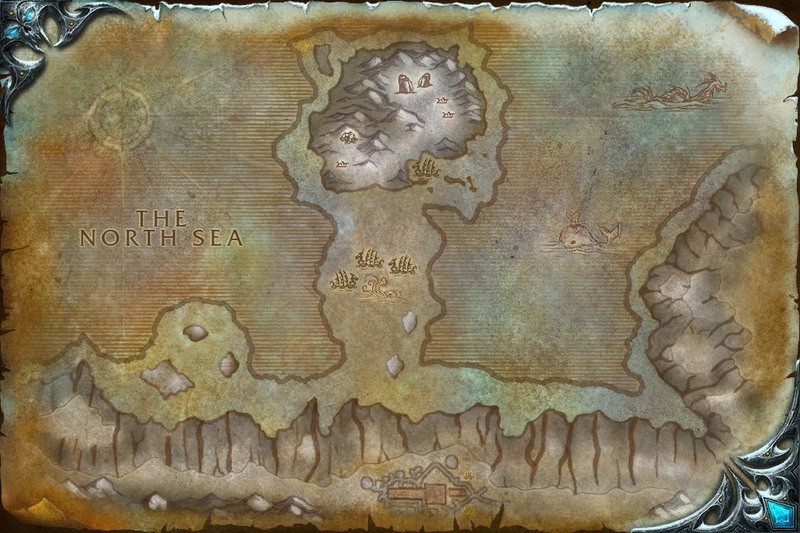 So the imbalance of the map right off the bat is whatever is that place on the right side. The trip to it is equally as fast for the horde side as it is alliance. Yet the i’m going to guess machine shop in near the horde base is equally as close to them but much further than the alliance. The alliance’s, i’m going to guess machine shop again, is in front of the horde base. So much for equal sides. I was thinking of resubbing to check this out but, it’s crack as we all know. And I may just be trippin’ on serious stuff. I haven’t even played the bg so who knows what the kiddies will do to it. The images are too big for displaying so I’ll just put down some links. If there is one thing I like just as much as zombies its Vikings. Which is understandably weird since I’m a Scotch Irish Englishman, which basically means I fight with myself a lot. So understandably Tomb Raider Underworld set off my Viking alarm almost as hard as VIKING did. And if you haven’t played Viking I’ll be reviewing that one next week. So here we go Lara Croft’s 8th time in a video game and one of the better Tomb Raiders. GOOD: If crystal Dynamics hit Tomb Raider legend out of the park this pitch they hit off the planet. The game play was intense. Shoot a chip off a wall in the maze level to mark which way you are going and how to get back. The environment is your biggest foe in this game, in fact only two levels where your racing against time to stop the bad guys all while being shot at. And really the only shooting is in the initial phase of the levels. The motorcycle levels include puzzles that you need the motorcycle to solve. Plus it is really fun to ride around on a motorcycle through ancient ruins and up walls and over huge gaping chasms. The storyline shores up some of the loose ends created in the Legend and Anniversary titles allowing the player to finally get a full picture of what has been happening to Lara and her family. Also the story of Ragnarok, Mjolnir, and Valhalla are intertwined into the storyline to offer a bit more depth to the puzzles and their meaning. BAD: As with most Tomb Raider games of this caliber it was entirely too short, however it was still gripping and kept me entertained for hours on end. UGLY: The ending looks like the end of the Tomb Raider storyline, however hopefully Crystal Dynamics will bring a new story line to this franchise and allow the die hard fans such as myself to continue playing these amazing puzzle action games. Proving that 3rd party exclusives are hardly exclusive anymore, an updated version of the then exclusive Xbox360 game, Ninja Gaiden II(notice that ‘Only on Xbox360’ badge? 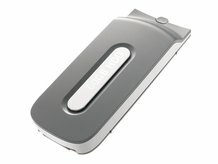 ), was announced this past E3 for the PS3, in Sigma form. Meaning there will probably be updated levels, weapons, modes, etc. Ninja Gaiden came out for the Xbox1 back in ’04, then remade as Ninja Gaiden Sigma for the PS3’s launch in 06′ with those mentioned enhancements. The Good – Awesome, fast paced hack-n-slash gameplay that really rewards the player for learning it’s deep combo system, button mashers beware, this game will not forgive amateurs. Deep upgrade system for weapons and powers. Beautiful 1080p graphics that run at a silky smooth 60 frames per second, sure it’s an update to a last gen game, but man is it pleasing to the eye. The Ugly – The boobie physics of the main female character, seriously, they don’t stop swaying or jiggling, it’s just weird. While peruzzing one of my favorite local gossip blogs they posted on something I totally want to spit on. CNN also caught wind of this. So…Y’know Every good idea has a bad side. Every right decision can have equally as bad of a outcome. So can you imagine the meeting where these two car dealerships that rip off President Obama’s well known slogans and events as sales pitches? The sales team shrugs, “sure boss. Good idea.That will really help with sales.” I bet this will get as worn out as the term “economic downturn” and “hard times”. I don’t doubt that if you’re in the Car selling business for a period of more than a few years a certain amount of sleeze comes naturally to you. And there are some pretty awful ads by Car dealership but these are pretty epic. Mmo champion has reported that Tier 9 items will have different models for each faction. Alliance and Horde. He goes on to explain with an example that I’ll dumb down. Paladins have three different talent trees, one for healing, one for tanking and one for just damage. And one for each level. Remember blizzard implimented more mini tiered raiding in Wotlk? Well that means that there are now 18 sets for Paladins. One would think that it’s different recolorings. So that Horde get Red and alliance get blue themed items. And I’m OK with that, I didn’t like everyone looks exactly the same in game at higher levels. Cool yeah? It’s the little things y’all. For that vast amount of people that don’t raid, and I’m sure it’s well over 1/2, this news is whatever. EA Sports NHL 10 Cover announced. Madden Be Damned, it seems the curse doesn’t really strech to my beloved sport hockey. That said, There’s no Alex Ovetchkin on this cover, winner of a 2nd hart trophy. (SCREW YOU MALKIN YA HOSER!). Patrick Kane, step on up. Still burning a little over the flyers not getting the #1. Although, I dont think the flyers would have taken a winger with the first pick. We had (sorry scottie upshall). James van Riemsdyk, you better be AMAZING buddy! 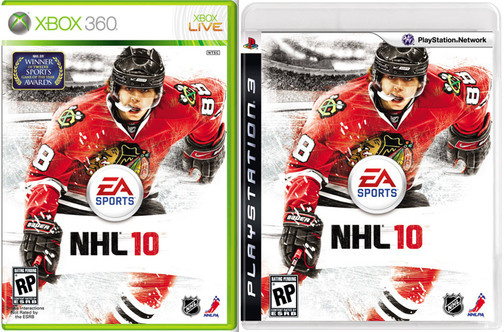 June 24, 2009 Posted by lurkerbelow | Normal Stuffs	| EA SPORTS, Hockey, nhl 10, patrick kane | Comments Off on EA Sports NHL 10 Cover announced. Nothing much here for me but pearl jeam is big stuff. I bet there are millions of people out there going nuts. Well maybe not millions. Here’s the list of the new rock band DLC for June 23rd 2009.